and understanding it more deeply. The informative, entertaining and interactive lectures and workshops that I offer consistently result in audience members experiencing new musical insights and a greater appreciation of music’s place in their minds and hearts. Together, we’ll explore the joy, meaning and magnificence of music in our everyday lives, while learning from the musical masters, and from one another. A list of topics is below. I’m always open to developing programs on other musical topics – let me know if you have a particular subject you’d like to explore together. Lectures are suitable for presentation to groups of any size, and incorporate recorded music, visuals and audience participation. Workshops are most effective in smaller groups – usually a maximum of six or seven participants. 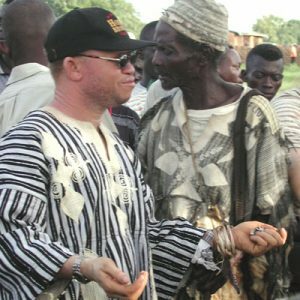 A fascinating exploration of the rhythmic and social properties of African music, and its meanings on an artistic and cultural level (based on my field research in West Africa). 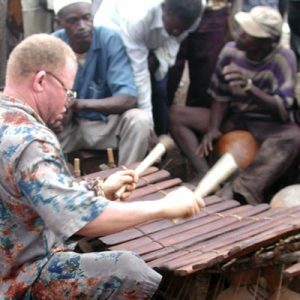 This presentation involves audience participation, including a fun, hands-on performance in which several audience members are asked to help create a fascinating African rhythm. 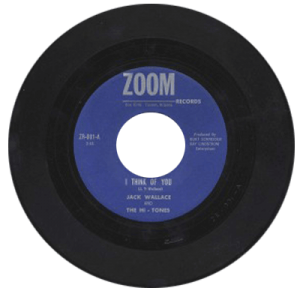 A single presentation covering the Rock ‘n’ Roll’s first two decades, or a series of up to 4-6 presentations covering specific eras and styles of popular music from the early 1950’s to 1970. How did rock ‘n’ roll come into being, and who were its early superstars and significant influences? This program brings back lots of great memories for those who were around during the music’s early years…but is also an eye-opening experience for younger music fans, as well. 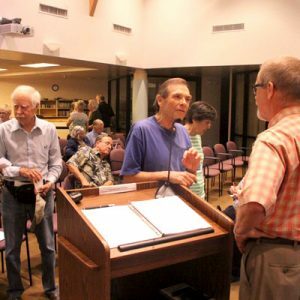 This is a combination lecture and screening of my 33-minute documentary film, which has been accepted at several prestigious film festivals and won the “Best of Arizona” Award at the 2013 Arizona International Film Festival. 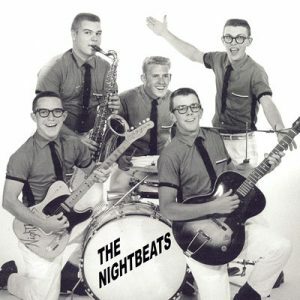 It’s a story of teenage friends who began their own record label in Tucson in 1959, while in their senior year at Catalina High School, a testament to the power of music to bring about positive changes in our lives. 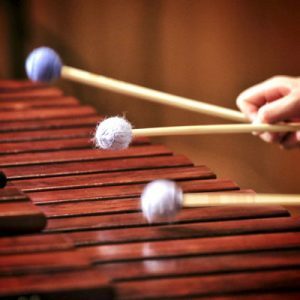 A lecture and recital performance jointly presented by Dan Kruse and Rick Puzzo, an accomplished percussionist and doctoral student at the U of A School of Music. The program covers the sounds and meaning of the music of the Snare Drum, throughout history and in the present day. 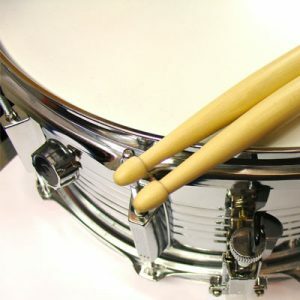 Audiences are amazed and delighted at the rich history of the instrument, and the astonishing variety of sounds and effects the snare drum can create. A combination lecture/performance presented jointly with a gifted marimba performer from the UA School of Music. Learn of the historical and geographical roots of this beautiful instrument, and the rich variety of musical sounds it can create. Audiences are amazed to realize the magnificence of the marimba and to hear and see the instrument up close. A lecture/film screening examining the importance of our “musical memories”, and why songs get stuck in our head, sometimes for hours or days at a time (a phenomenon known as “ear worms”). 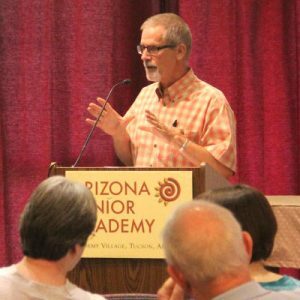 This presentation also includes a screening of my 14-minute science documentary, “Tracks”, and a discussion of methodologies and outcomes from The Arizona Ear Worm Project, a one-year University of Arizona research effort I led during the 2014-2015 academic year. 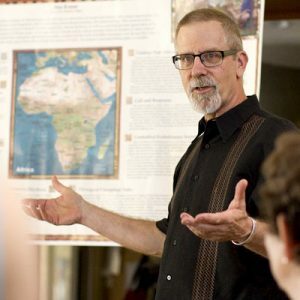 The research project was funded by the UA’s Confluencenter for Creative Inquiry. Where is the Joy in Music? Each of us has a unique story to tell about our relationship to music, and the ways in which music brings us joy. I use my own personal musical journey as a jumping-off point to examine the question from the perspectives of history, culture and cognition. Then, audience members are asked to reflect on and share their own joyful musical stories with the group. And…other topics may be developed to meet the needs of audiences. Please contact me to discuss the possibility of a presentation for your group or organization. 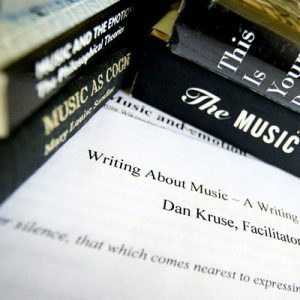 This workshop (six sessions of 90 minutes each) explores, through the act of writing, our relationship to music and its impact and meaning in our lives. Together, we’ll listen to music together, have opportunities to write what we think and feel in a variety of literary forms – poetry, personal essays, mono- and dialogues, journaling and “imagined letters”, as well as critiques of favorite artists, recordings and live performances. And, we’ll share what we’ve written in ways that are comfortable, but which on occasion stretch our “comfort zones” in meaningful, growth-producing ways. Writing assignments and exercises will include prompted in-class journaling exercises, Progoffian writing episodes, and take-home assignments. Each week, group members will be asked to read their work aloud, and to receive feedback, input and support from others in the group. Suitable for groups of up to seven participants. Within each of us, there’s a “rhythmic spark” that’s waiting to be released. 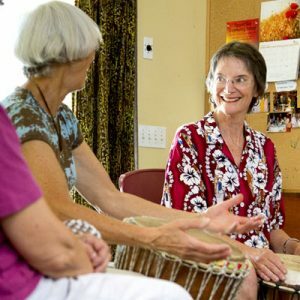 In this workshop of one to four 90-minute sessions, we’ll explore rhythm from a range of musical and cultural perspectives, and use a variety of instruments (including our own bodies) to create rhythmic adventure and connection. 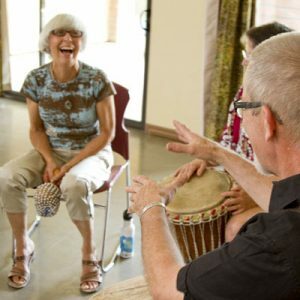 When given the opportunity to express themselves rhythmically, participants almost always discover a new-found sense of musical joy and exuberance. If you’ve a favorite percussion instrument you’d like to use in this workshop, bring it along! Suitable for groups of four to six participants.